Samsung may not have announced the Galaxy S8 at MWC today, but they did show off their new Android-powered tablet, the Galaxy Tab S3. We knew this bad boy was coming, so let’s run through the official details. 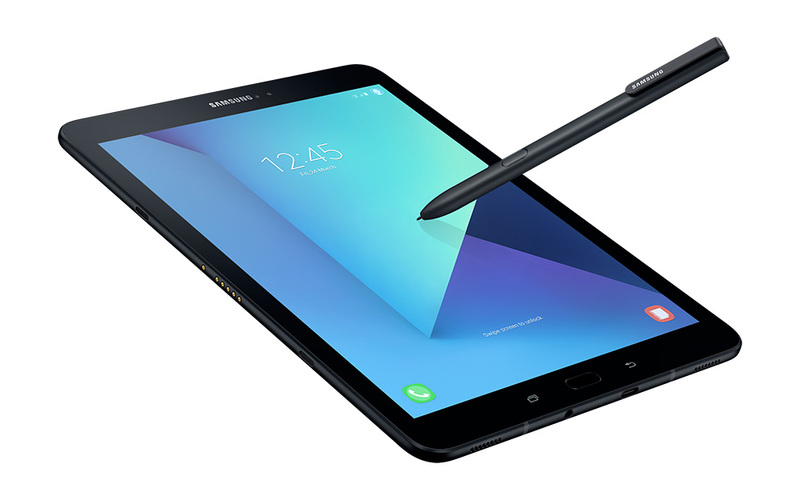 To start, Samsung isn’t saying how much this tablet will cost or when you can buy it. Weird, I know, but that’s the situation we are in. Should they make that info available, you’ll get a high-end tablet in a world that isn’t filled with many tablets anymore. 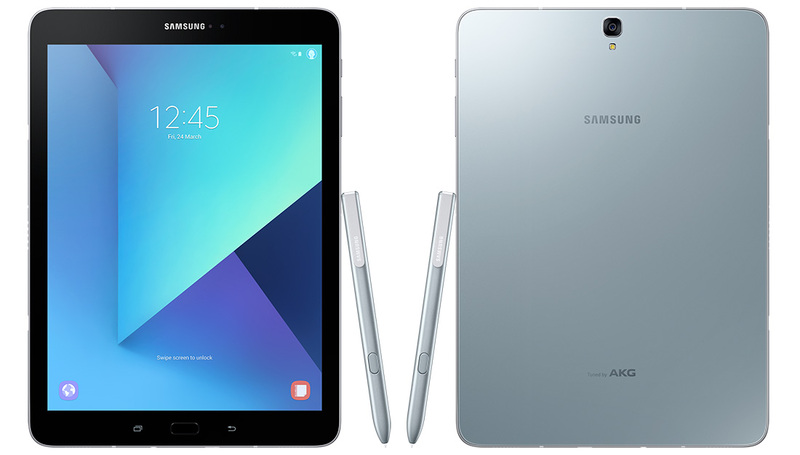 The Galaxy Tab S3 features a 9.7-inch Super AMOLED display (2048×1536), Snapdragon 820 processor, 4GB RAM, 32GB storage with microSD expansion, 13MP rear camera, USB Type-C port (USB 3.1), fingerprint sensor, WiFi/LTE/Bluetooth, 6000mAh battery with Fast Charging, and Android 7.0 Nougat underneath Samsung’s skin. See, pretty decent specs for a tablet. 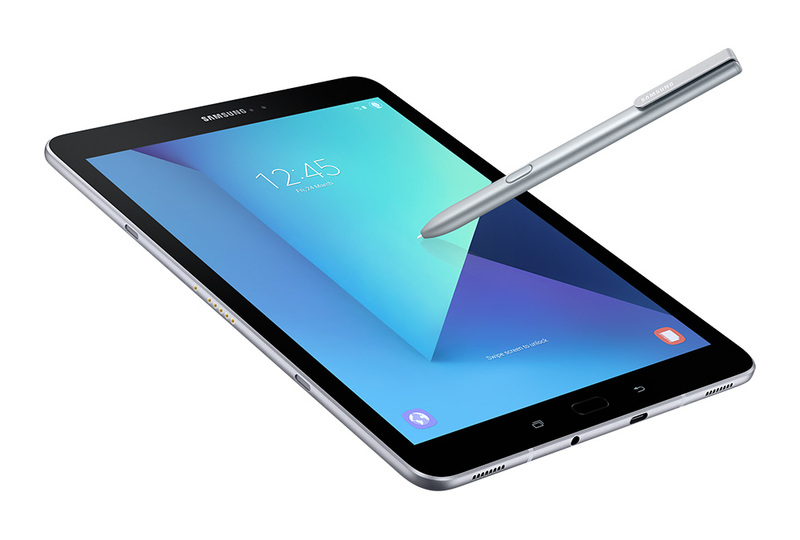 Samsung is pushing this tablet as both a media and productivity device. On one hand, they expect over 12 hours of video playback on it, 4K support, and quad-stereo speakers that have been tuned by AKG by HARMAN (who Samsung now owns). On the other, you have a “refined” or “enhanced” S Pen that is bigger and more comfortable to use when getting creative or getting work done. The Tab S3 comes in silver or black, WiFi or LTE models. Again, we have no idea when this thing is showing up or how much it will cost.